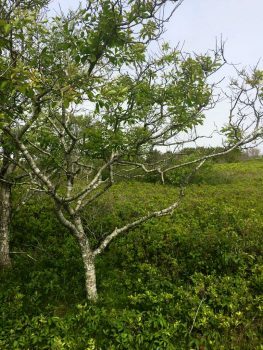 The mission of the Nantucket Biodiversity Initiative (NBI) is to conserve the native biodiversity of Nantucket through collaborative research, monitoring and education. To make biodiversity information available to conservation organizations, government agencies and the general public involved in decisions that affect Nantucket’s environment. NBI is a collaborative effort of the following organizations: Linda Loring Nature Foundation, Maria Mitchell Association, Massachusetts Audubon Society, Massachusetts Natural Heritage & Endangered Spcies Program, Nantucket Conservation Foundation, Nantucket Islands Land Bank Commission, Nantucket Land Council, Nantucket Memorial Airport, Science Department of the Nantucket High School, Trustees of Reservations, Tuckernuck Land Trust, UMass Boston Nantucket Field Station and US Fish and Wildlife Service. Learn more about the Nantucket Biodiversity Initiative (NBI).